We’ve worked around the clock on improving the new websites and the Create-A-Book sales tools. We made the decision to hold back the mini-announcements for one big one, and after 4 months of intense beta-testing, we’re ready to launch Savi2. Just in time for the Fall season! We also spent 50 hours integrating the new features and improved sales tools on our demo store. Every new website comes with these improvements, and existing dealers can have them added! If you have an existing website with SaviSites, the upgrade is FREE so email us ASAP so we can help you make the switch in time for the Holiday Season. If you’re interested in starting a new website, or switching to us from an existing website, you can visit our website to learn more and/or call us today. You can download these images by right clicking and choosing “save as”, or you can grab the already hosted links to throw them up on your website. Click HERE for the links. 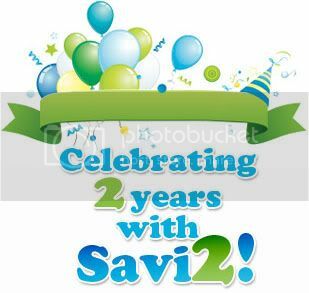 Hi everyone, we apologize for holding back the Savi2 launch. It’s been difficult deciding which features to integrate for the initial launch and which should be added soon after. We want to add them all now, but we also want you to benefit from the improvements for the remainder of the holiday season. We want to give your customers the best experience possible, and since the shopping cart/checkout processes are two of the defining experiences your customers have with your website, we’ve made them really really cool with ultra high end design and a new single page checkout. A single page checkout allows your customers to complete all the information on a single page, giving the impression of a quicker/easier process. We’ve created a new shopping cart/checkout that will build trust and impress your customers! We’ll be adding more bells and whistles to the cart/checkout after launch, though we felt adding the core features to this new process would be worth the delay. Also, our initial beta testing is wrapping up this weekend, and we’ll be giving a small group of Savi customers test sites next week. At the beginning of 2010 we realized we’d outgrown the current BakeSale framework that runs your online stores. BakeSale is an open-source framework that enabled us to build a great solution, but it doesn’t have the flexibility we need for all the new features we have planned. So this Spring, we began writing code for Savi2.0, a custom solution we’re building from the ground up. This means we’re throwing away the current code, rebuilding your current features, and adding many more. We’ll post a complete list of the new features towards the end of September. For now, we’re giving a sneak peak of whats to come…. Customizable template background images, patterns, colors.